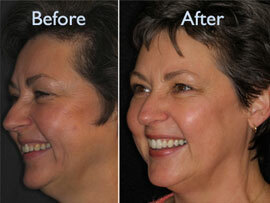 Bioesthetic Dentistry: Where optimal health and beauty meet ideal form and function. Observe the non-surgical facelift and the effects of Bioesthetic Dentistry on the eyes, muscle posture, and facial form. Common concerns such as worn or chipped teeth, recurrent headaches, neck, shoulder or upper back pain, pain in the jaw joint and grinding or clenching of your teeth may be an indicator for chewing system disharmony. 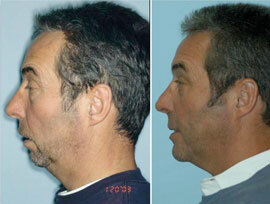 In this case, Bioesthetic Dentistry is probably able to help you. Unlike many other treatment approaches, Bioesthetic Dentistry diagnoses the cause of tooth wear and other chewing system disharmony instead of focusing on the symptoms. A thorough investigation of your tooth positions and the way your teeth fit and work together (occlusion) and the functioning of your jaw joints (temporomandibular joint) forms the basis for any diagnosis and treatment. The goal is to establish a perfect harmony between all parts of the chewing system and restore your teeth to their optimal shape and relationship – resulting in a healthy, highly functional, unworn and beautiful smile. Dr. Casacci is an accredited Bioesthetic Dentist with the knowledge and techniques to treat proactively toward a specific optimal health goal.